An annoyance of the development process for frontend teams consuming a JSON-based API is not getting a JSON-formatted response back when an error occurs. Getting Django's HTML-based error pages instead of something formed in JSON means more coding at their end to capture errors and top that off, the HTML itself is long and difficult to eyeball quickly. Being able to return both regular content and unexpected errors in JSON format helps remove the pains of dealing with errors during the development process. 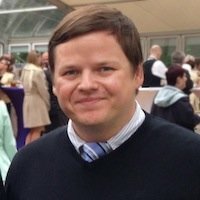 django-jsonview is a package that gives you a decorator for your view methods that wraps their contents in a JSON response. It will also catch exceptions and return them in a consistent fashion and there is even support to modify HTTP headers if need be. I'll walk you through it's usage. Now I need to edit (and in some cases create) five files: The base settings file, the base urls file, a models file with an example model, the urls file for the app and finally, the view with our decorated views. # Send a 402 Payment Required status. # Send a 200 OK. The first method foo_bar returns a dictionary. Here it is with the correct HTTP 200 response code and 'application/json' content type.